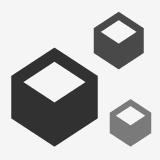 With the re-regulation of Swedish gaming industry and heavy cap on the bonusing system which entailed, licensed operators who are looking to win customer attention are left with no choice but to offer other value-added services. Mr Green has been busy doing just that and just announced a brand-new personalised jackpots feature and the addition of Swish payments for the Swedish market. About four years ago NetEnt released South Park Reel Chaos. It had lots of great features, including that proprietary game mechanic or sub-division that brings havoc and bonus clashes between heroes and villains. 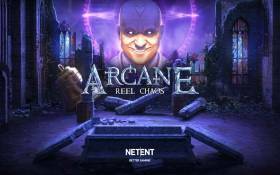 Fans of this type of game can now rejoice as NetEnt has unveiled their new upcoming game Arcane Reel Chaos which is simply amazing in portrait mode! Here’s what to expect when it comes out on 16 May. As we have briefly touched upon in one of our earlier posts, NetEnt is brewing several exciting games for release this month and in May. 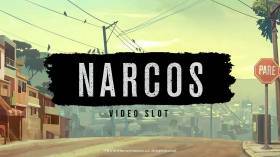 A couple of the most anticipated video slots that promise to top the charts are Dead or Alive 2 (24 April) and Narcos (23 May). We now know a few things about how the games will play, so let’s get on with the facts! Evolution Gaming debuted 10 new live games at the start of this year and one of them, Monopoly Live: Dream Catcher Edition, is among the few that's finally here. So, if you don't mind putting a twist on your live gaming or are a fan of the classic Dream Catcher, then you can now try your luck on this one 24/7. Here’s what you should know.